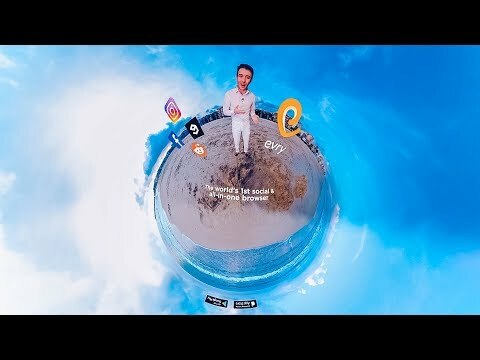 Fulldive Browser is the world's first social and all-in-one browser. Created by FullDive Corp.
Fulldive Browser is the fastest browser on Android: our fast browsing technology is developed through Adblock: our ad blocker will block unwanted ads and trackers! The new level of social media apps: comment and tag friends on ANY webpage! The best app among news apps for free: put all your news feeds and social media in one single place! 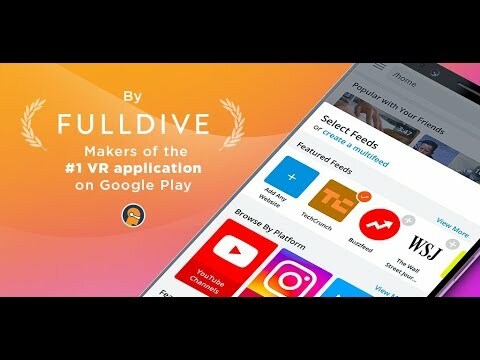 Fulldive All-in-One lets you bring all of your favorite feeds such as Facebook, Instagram, YouTube, Twitter, and others, to one single place. You no longer have to switch between multiple applications. With the customizable newsfeed, you can always be up-to-date on the latest news and your community. See only relevant content, scan everything in one glance, and browse efficiently. View your favorite content in one place. Fulldive Social lets you start discussions on any web page. You can now see what popular pages are trending amongst your friends and favorite celebrities on the home page. Chat about anything with friends and strangers and leave comments directly on any websites through our social networking feature! You can also tag, be tagged, and be notified by the people you care about, just like on any other social app. Fulldive Browser offers you the next level of web browsing, now with others, not by yourself. Fulldive Browser was added by eugeneberlin in Nov 2018 and the latest update was made in Apr 2019. The list of alternatives was updated Mar 2019 There is a history of all activites on Fulldive Browser in our Activity Log. It's possible to update the information on Fulldive Browser or report it as discontinued, duplicated or spam. Alternatives to Fulldive Browser for Windows, Android, Mac, Linux, Android Tablet and more. Filter by license to discover only free or Open Source alternatives. This list contains a total of 25+ apps similar to Fulldive Browser. No reviews yet for Fulldive Browser, want to be first? Maybe you want to be the first to submit a comment about Fulldive Browser? Just click the button up to your right!